Why Do Some Search Results Get Dominated By Yelp Listings? 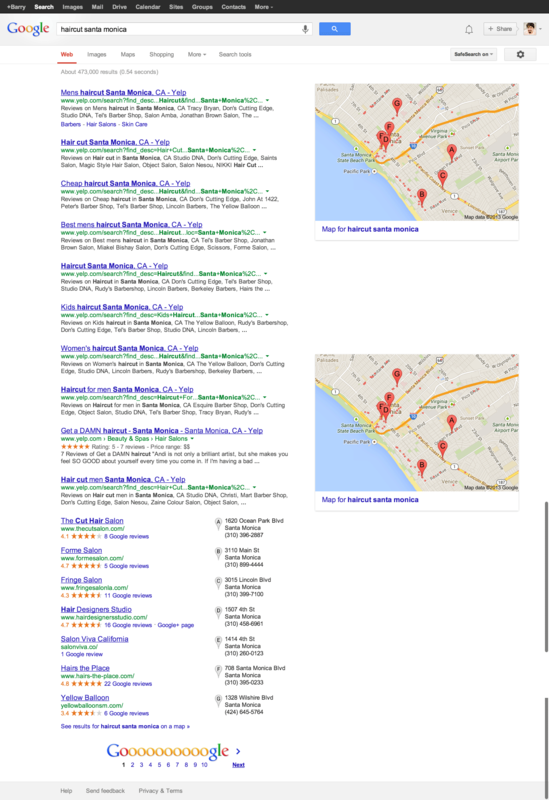 Home > Google News > Google SEO > Does Yelp Dominate Google's Local Web Results? A common issue I see with the Google results are the number of Yelp results a Google search can return for a local type of keyword phrase. It has been going on for well over a year. I even wrote about it when discussing Google's domain diversity. One webmaster shared an example of a horrible Yelp listing in Google, in the Black Hat Forums. He said, you should take a look at the search results for [haircut santa monica] and 10 ten results on the web site were from Yelp. Pretty amazing. 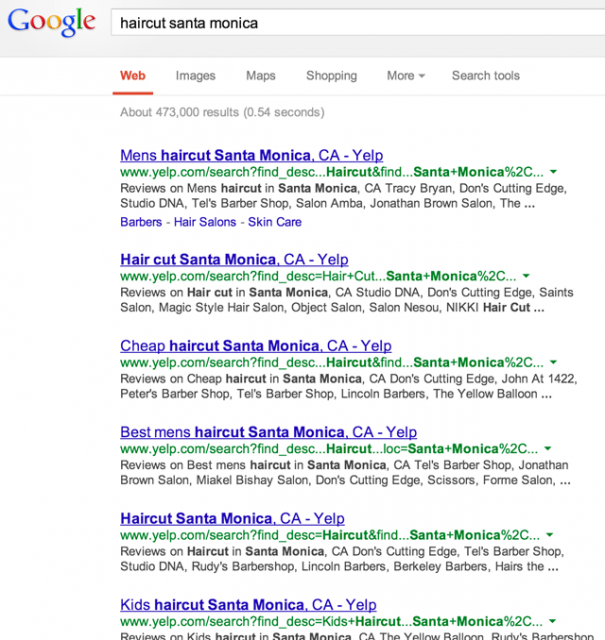 Why does Yelp dominate so much of Google's search results? Is Yelp the Wikipedia of local search? Forum discussion at Black Hat Forums.